There will be three parties at the Golden Keg. Enough to satisfy everyone! Friday: Fáilte Party – expect tasty pints and a nice welcome into the weekend in the Glimmer Man pub in Stoneybatter, a mere 5 min walk from the Generator hostel. Known for quality Guinness, an old Dublin style feel to the place and fun staff, the Glimmer Man will be a great way to start the weekend. We will have a live trad band playing and there will be the chance to buy some Golden Keg Five Ultimate gear too. Saturday: Party Mór – this party will be full blown fancy dress. The theme? Ireland. Yes, it’s that simple – take inspiration from anything on our island – celebrities, culture, nature, music etc. There will be prizes for the best individual and best team efforts. 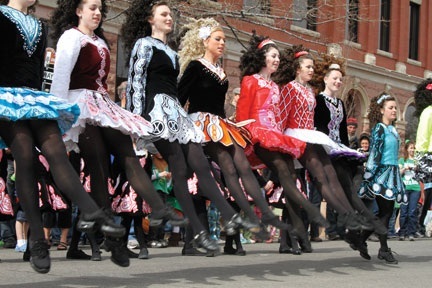 We will be holding a ceili with some Irish dancing lessons and then a DJ will play for us until the early hours. All this will take place in the Generator hostel! Sunday: Slán Abhaile Party – why bother with the pain of travel or of post-tournament blues? Ignore both and stay Sunday night. Everyone will be relaxed after the weekend, ready for some quiet drinks or even a celebratory night out. Either way – do join us!